KARACHI: It is no hidden secret that the number of Pakistani television serial directors making the switch towards feature films is ever increasing. While TV directors such as Ismail Jillani, Sarmad Khoosat, Shehzad Kashmiri and Yasir Nawaz have already announced or released movies, another director to soon join their ranks is Khalid Khan, whose debut filmZeher-e-Ishq is set to go on the floors. The movie, which will be produced under the banner of KK Film Productions and Hum Films, is expected to be shot in Pakistan and Turkey. It has been described as a “sufi love story” and is inspired by the teachings of Rumi. While the cast for the film has not been finalised as yet, it is expected to feature a host of renowned actors. Veteran actor Shakeel has already confirmed his participation in the project. Sharing his excitement for the film, he said he was sold the moment the director narrated the story to him. “When he told me that the film is about a subject like Sufism, it touched my heart,” stated the legendary TV actor. Khalid who has previously worked on TV serials like Sookhay Pathay,Anokha Bandhan and Bhar Day Jholi, said that even though he may be moving from the small to silver screen, he is not new to the craft of film-making. Having studied film abroad, he said he wanted to make a movie upon his return to the country but the state of the local film industry back then, forced him to turn towards TV serials. 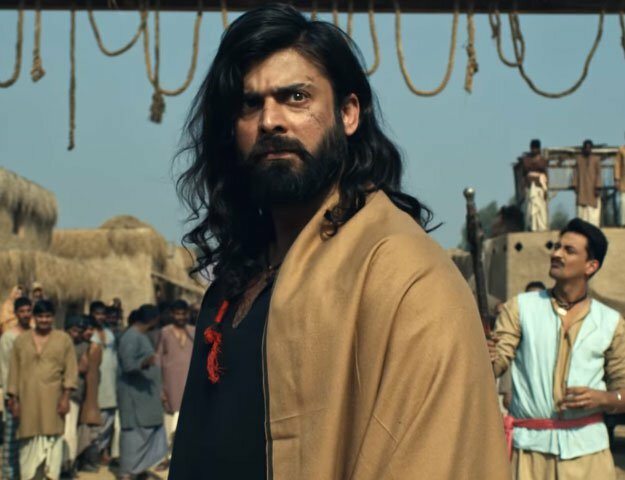 While hearsay suggests the cast for the movie is set to comprise three of Pakistan’s most sought-after actors – Iman Ali, Fahad Mustafa and Fawad Khan, the director refused to confirm anything. “We haven’t revealed our cast as yet and want to keep it a surprise. We are in talks with some of the leading actors in the industry but cannot confirm anything right now,” he told The Express Tribune. The soundtrack for Zeher-e-Ishq has already been completed with composer Waqar Ali producing the songs. It comprises seven songs with renowned Pakistani singers like Sajjad Ali and Rahat Fateh Ali Khan and Indian playback singers such as Sunidhi Chouhan and Palak Muchhal lending their voices for the album. “I hope that the audience will like the music. All of the songs have been produced in such a way that they are in synchronisation with the movie’s theme of Sufism,” said Waqar. The script for Zeher-e-Ishq has been written by Muhammad Asif, while Hum Films is the distribution partner for the film.